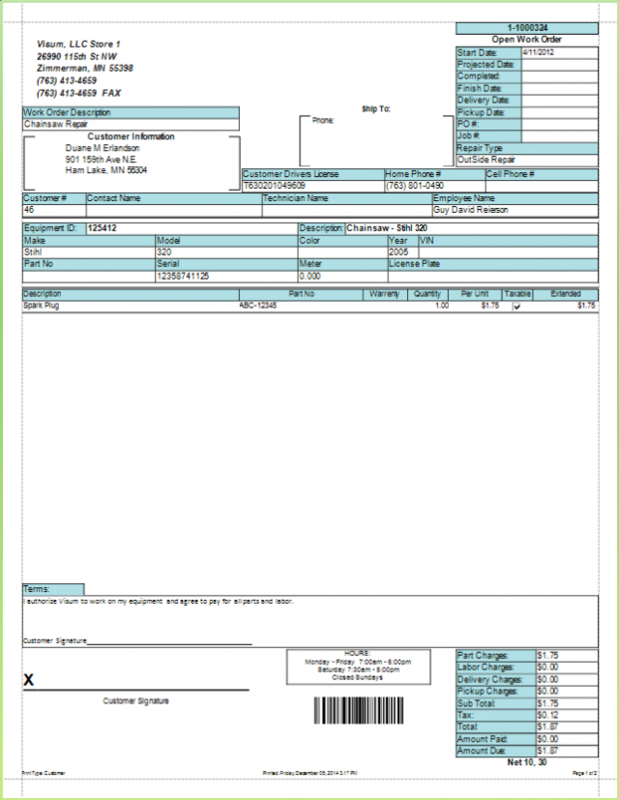 Maintenance work orders and inspection sheets can be generated from a front counter rental contract just as easily as a work order can be created from the maintenance desk. 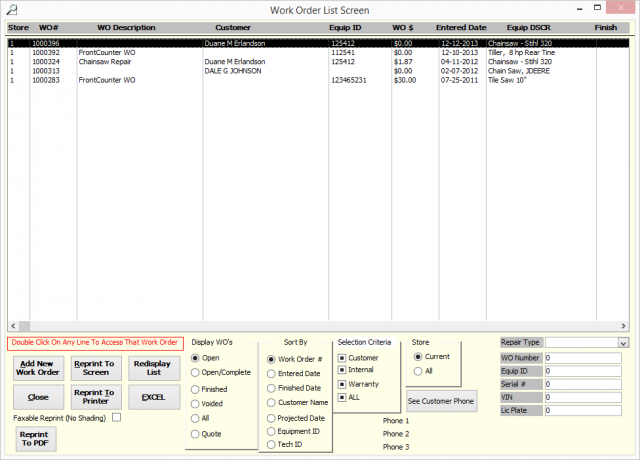 There are many options available, giving you the ability to create work orders automatically at the time of return, create work orders when needed, and printing out automatic inspections sheets, to give your shop personnel a “checklist” that needs to be completed before a rental item is ready to be rented again. FocalPoint Software makes managing your service department easy, and allows you to monitor important aspects of your maintenance efforts such as profitability, inventory control, and warranty claims.